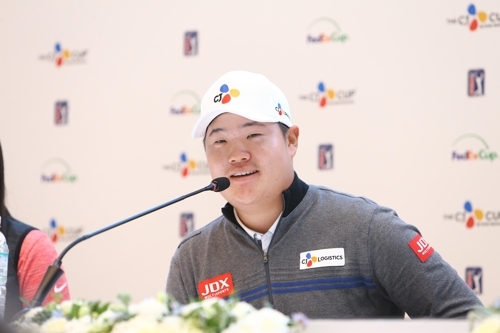 SEOGWIPO, South Korea, Oct. 16 (Yonhap) — Im Sung-jae, a hotshot rookie on the PGA Tour, has come home again, ready to put on a show before fans anticipating big things out of the 20-year-old with what should be a bright future. 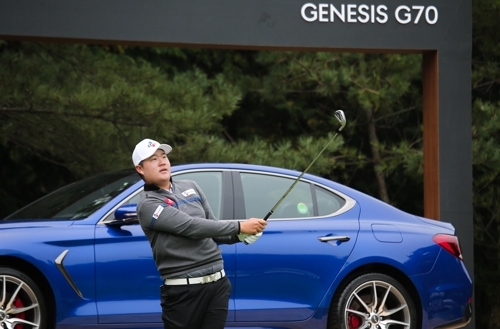 Times are good for Im, who will be competing at the CJ Cup @ Nine Bridges starting Thursday on his native Jeju Island. He earned his PGA Tour card for the 2018-2019 season after leading the Web.com Tour in money last season. And he nearly won in his PGA debut two weeks ago, as he ended up one stroke shy of a three-way playoff at Safeway Open. His quick start to his PGA Tour career, plus his hometown boy status, likely landed him in a marquee pairing for the first two rounds with Brooks Koepka, world No. 3 and the reigning PGA Tour Player of the Year, and Justin Thomas, world No. 4 and defending CJ Cup champion. Im said he hadn’t been home for about eight months and that the CJ Cup couldn’t have come soon enough. Koepka and Thomas are both long hitters — they were eighth and 11th last season in average driving distance at 313 yards and 311.9 yards — but Im said he’s also looking forward to getting a closer look at their short game, especially their wedge play from 100 yards and in, and their shots around the green. Im said playing on the Web.com Tour prepared him for the PGA Tour on some practical levels. Im is currently the third-highest ranked South Korean at No. 94, behind An Byeong-hun (No. 48) and Kim Si-woo (No. 57). Im said the goal is to reach around 60s in the rankings by the end of the calendar year, and then to go all the way up to 30s by the end of the PGA Tour season in August 2019. Such a climb would also help Im’s case for a spot on the International Team at the 2019 Presidents Cup. The biennial match play competition pits the U.S. team against a team of non-European international players. In 2017, Kim Si-woo was the lone South Korean representative.